The Samsung Galaxy Note 9 launched recently and now we have started to hear rumors about the Samsung Galaxy Note 10. A recent rumor suggested that Samsung may ditch the headphone jack on the new Note 10 and now according to a recent report the new Samsung Galaxy Note 10 will come with a 6.66 inch display. The current Samsung Galaxy Note 9 features a 6.4 inch display so it looks like the display on the new device could be slightly larger. The news of the larger display comes in form of a tweet from Ice Universe, you can see the tweet below. 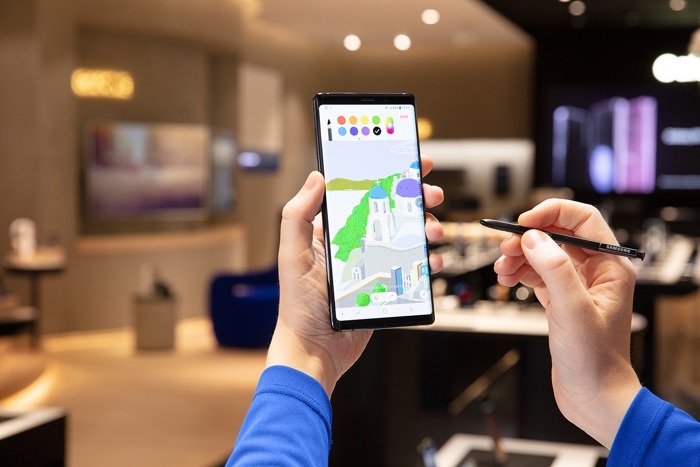 We are not expecting the new Samsung Galaxy Note 10 to launch until around August 2019, so we will have some time to wait to find out if this new rumors is correct. Samsung will be launching their Galaxy S10 and S10 Plus handsets early next year, the handsets will either launch in January of at MWC 2019 in February.